Hopi artist Duane Maktima designed and created these 14k gold earrings. 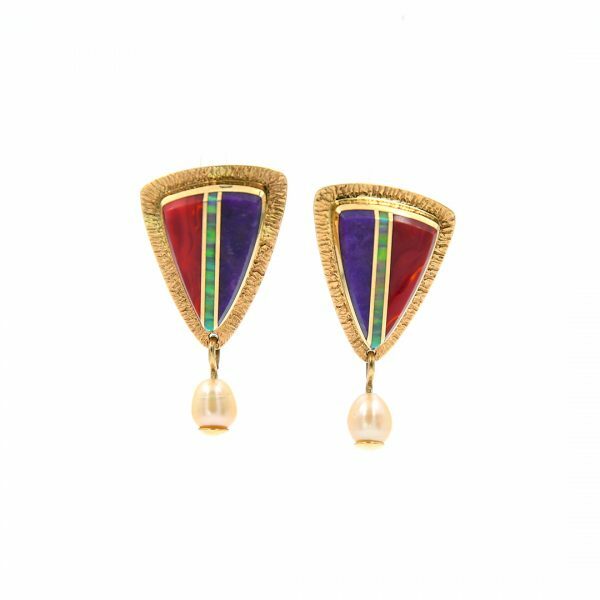 These earrings are inliad with spiny oyster shell, opal and sugilite. A small pearl dangles at the bottom edge of each earring accented by gold. They feature a post with a clip.